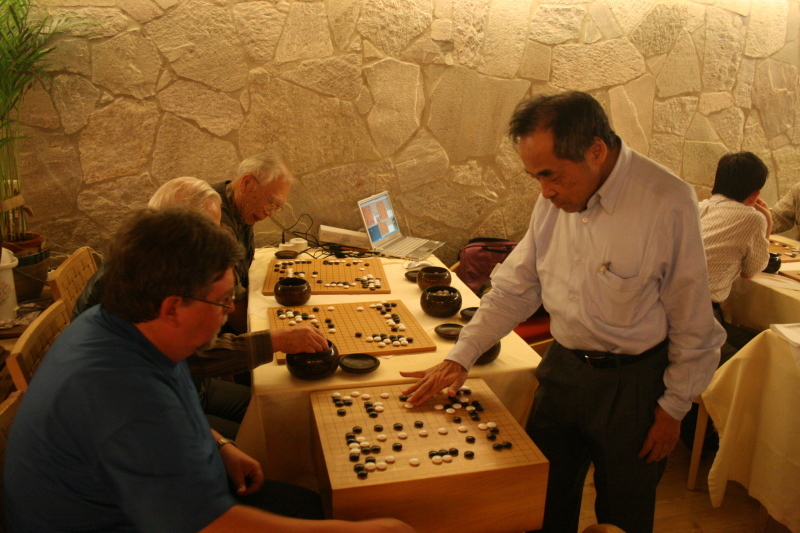 Baba Shigeru (馬場 滋, born 1948) is a Nihon Ki-in professional Go player who reached 9-dan in 1991. Baba is one of Sakai Toshio's pupils. Ida Atsushi is his pupil. Sorry for inlining big pictures into the page here, but internet lines are really fast now so I think that should not be a problem. And I really want to share these pictures with you. If somebody wants the full resolution pictures for reprint, please contact me.